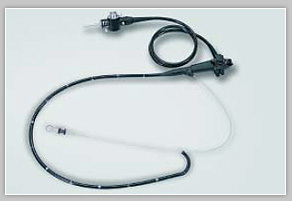 The video colonoscope is provided with a 120°field of view. The therapeutic video colonoscope can get three-dimension pictures with the wide view and is convenient to push to the cecum. The slender video colonoscope fits very well to the normal colon inspection. It is easy to insert and flexible to operate. It is designed to reduce discomfort for patients such as children or adults whose intestine is narrow.